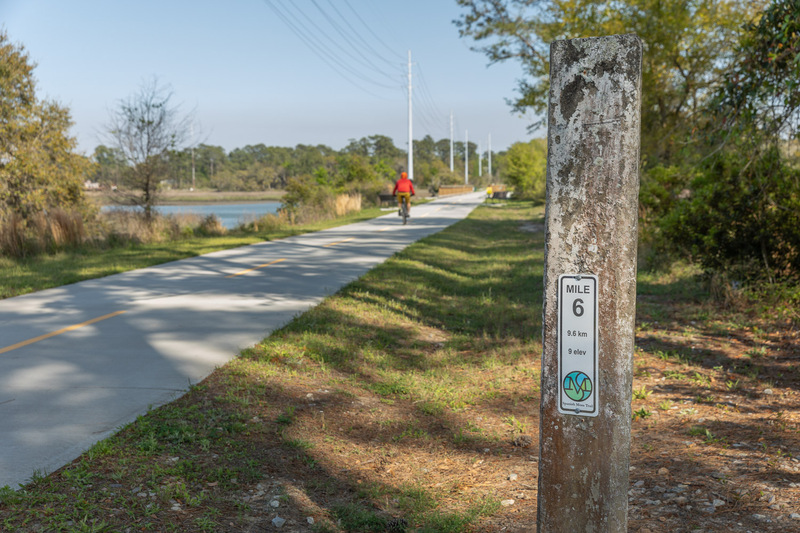 The 13.6 miles of the Spanish Moss Trail follows the former Port Royal Railroad that was constructed in 1870. 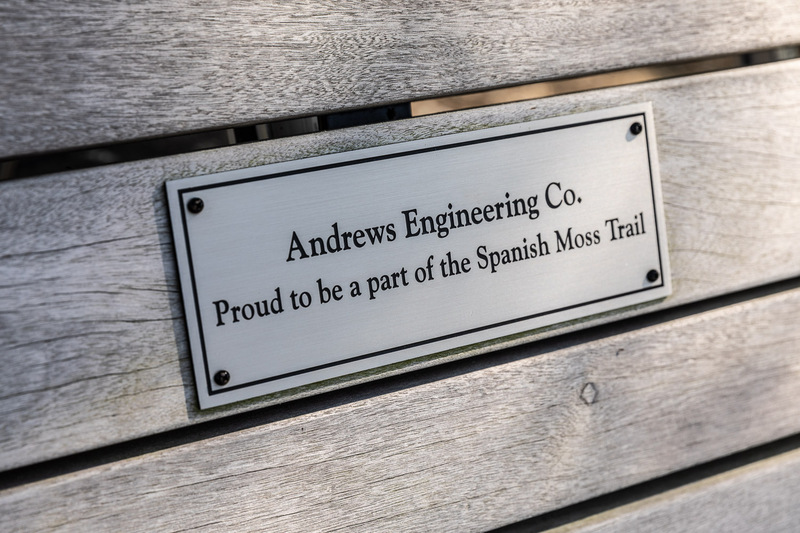 Andrews Engineering was responsible for the design-bid-build of a 2.1-mile portion of the trail which runs from Parris Island Gateway to Depot Road. 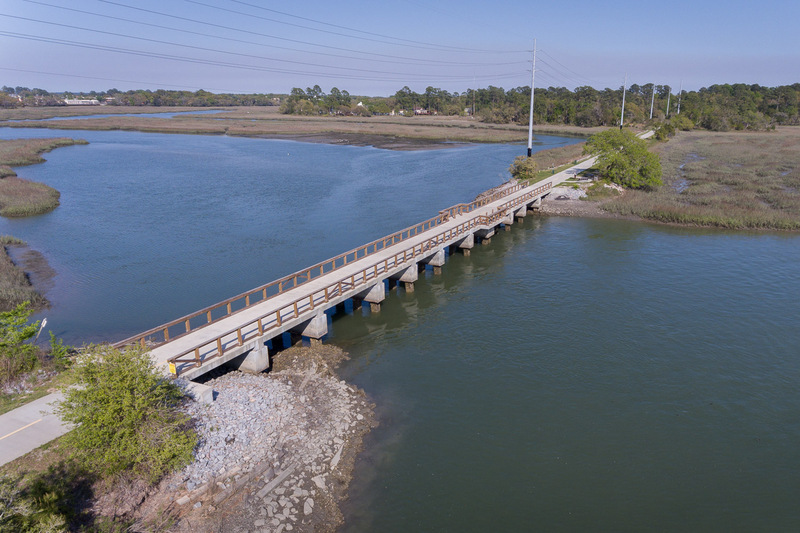 The scope of work included overseeing the demolition and full restoration of 250’ of Ealey’s Trestle which crosses over Battery Creek. 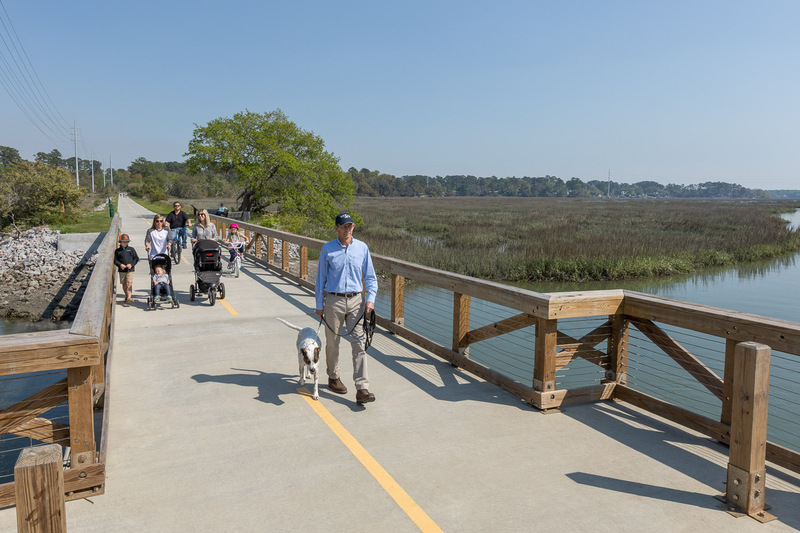 This bridge provides a 12’ wide pedestrian access and fishing pier. 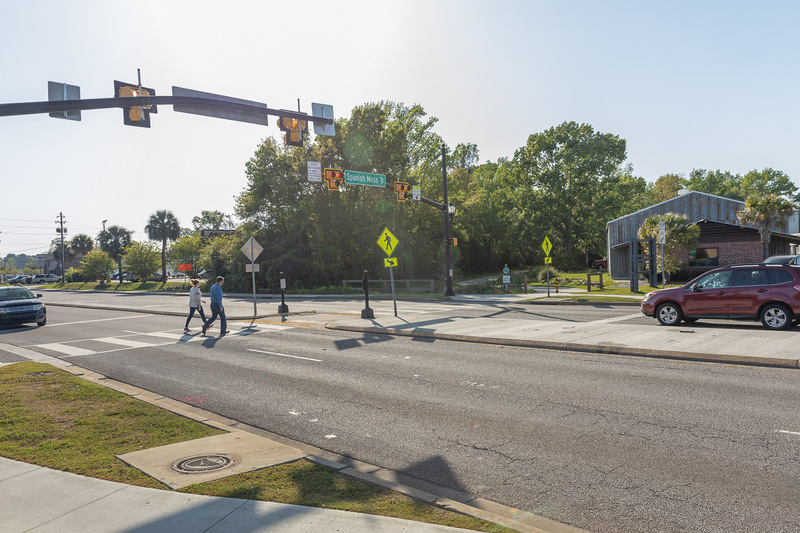 AEC also designed and permitted for Beaufort County’s first HAWK Pedestrian Crossing Signal located at the trail crossing at Robert Smalls Parkway. 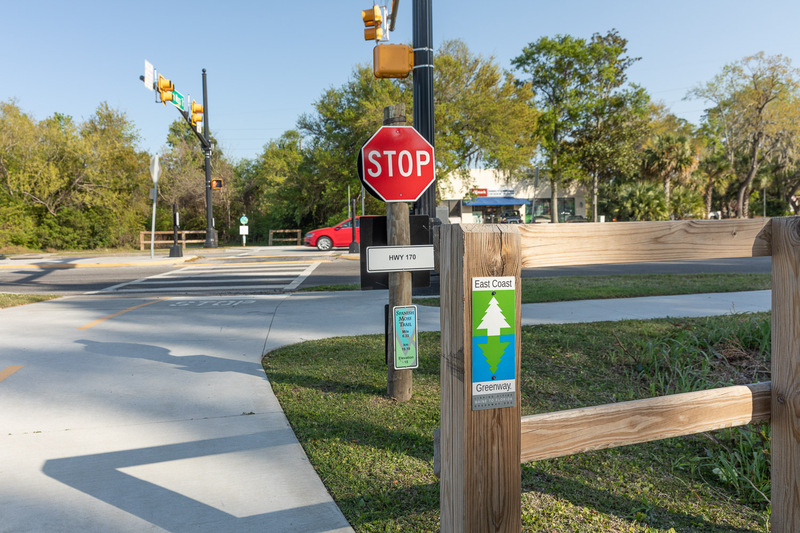 This innovative traffic/pedestrian crossing signal allows for safe pedestrian road crossings at non-intersections. 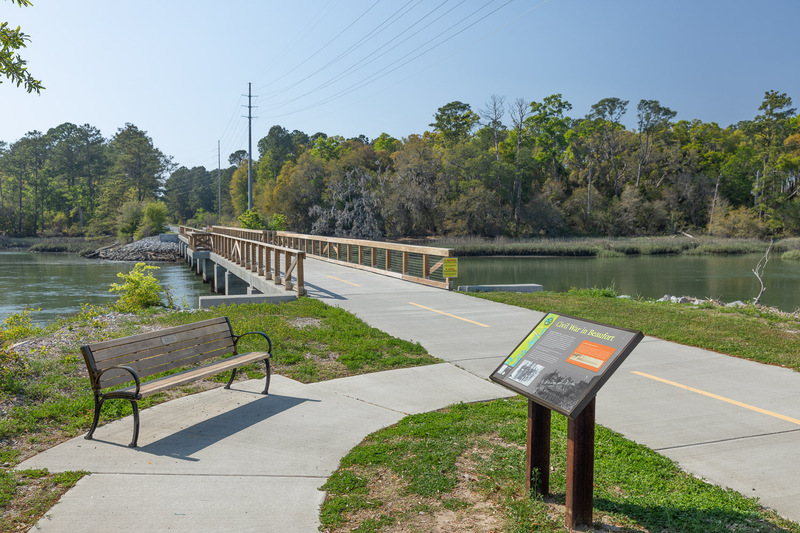 The site plan also included SCDOT intersection designs for pedestrian friendly crossings along with pocket parks, landscaping and signage. 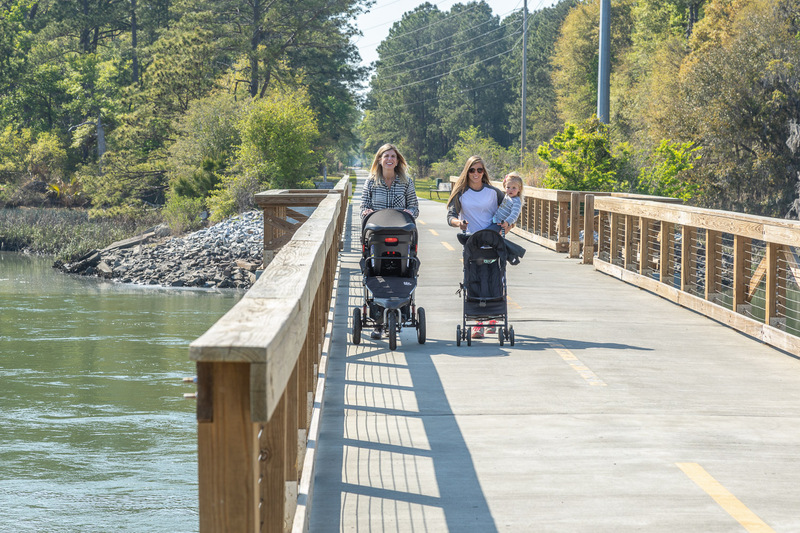 Our surveyors performed as-built and record drawing surveys for the 2.1-mile railbed as well as for the construction. The surveyors also performed construction staking of the trail and trestle. 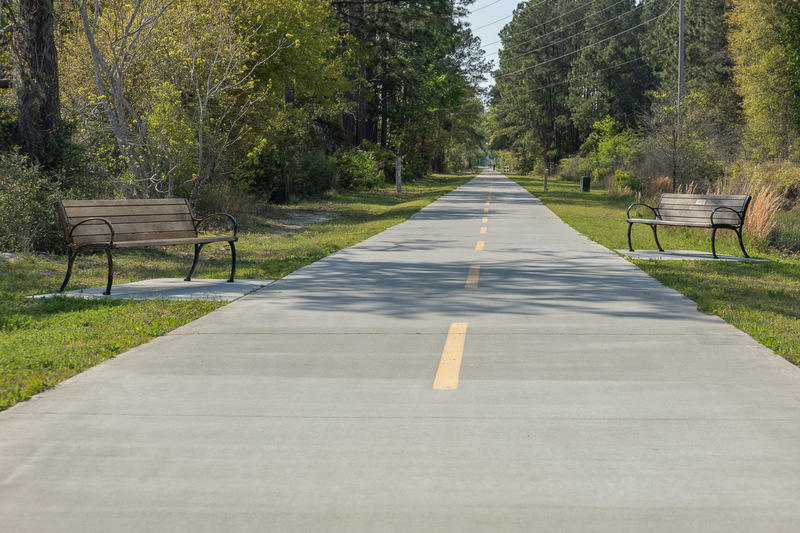 The stormwater plan included the installation of bioswales to ensure the proper treatment of trail run-off. 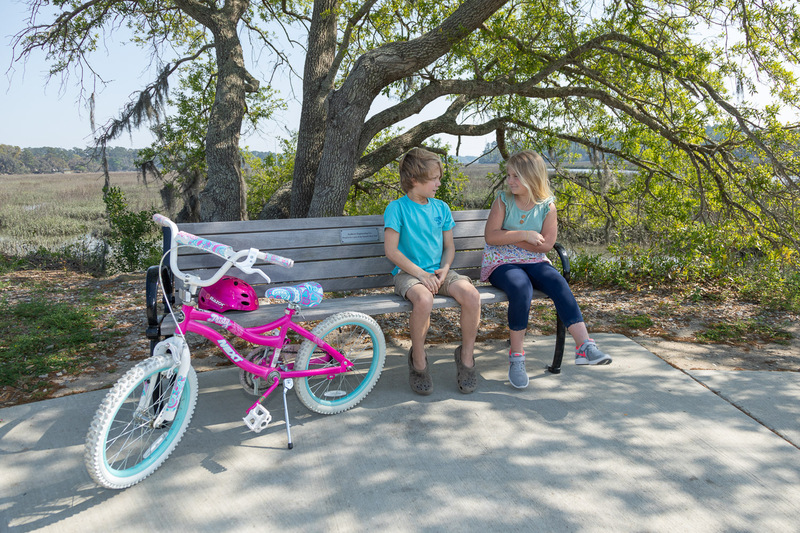 Once construction was underway, our Construction Manager performed all site and SWPPP inspections.